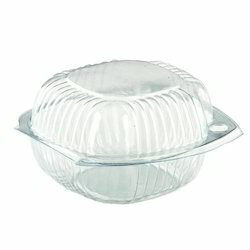 Leading Manufacturer of burger box and plastic burger box from New Delhi. Burger Box offered comes in quality hard paper finish and is made available in white and other color options to pick from. Further, as these are made available in food grade paper finish, these safe to use. Some of its features include paper finish makes these environment friendly in usage, choice of different sizes and OEM finish configurations to match up with the specific demands of the customers; providing for stable usage support.